Please read these Terms and Conditions ("Terms", "Terms and Conditions") carefully before using the www.authoritytocoach.com website (the "Service") operated by Athletes Authority Pty Ltd ("us", "we", or "our"). you disagree with any part of the terms then you may not access the Service. Our Service may contain links to third-party web sites or services that are not owned or controlled by Athletes Authority Pty Ltd. Athletes Authority Pty Ltd has no control over, and assumes no responsibility for, the content, privacy policies, or practices of any third party web sites or services. You further acknowledge and agree that Athletes Authority Pty Ltd shall not be responsible or liable, directly or indirectly, for any damage or loss caused or alleged to be caused by or in connection with use of or reliance on any such content, goods or services available on or through any such web sites or services. economic advantage) however it arises, whether for breach of contract or in tort, even if it has been previously advised of the possibility of such damage. including, but not limited, to any misleading statements made and/or incorporated into any Content provided by third parties, such as manufacturers and wholesalers, and users of the Service. It is your sole responsibility to ensure the accuracy of the data inputted. You have sole responsibility for adequate security protection and backup of data and/or equipment used in connection with your usage of the Service and will not make a claim against for lost data, re- run time, inaccurate instruction, work delays or lost profits resulting from the use of the Service. Athletes Authority Pty Ltd its subsidiaries, affiliates, and its licensors do not warrant that a) the Service will function uninterrupted, secure or available at any particular time or location; b) any errors or defects will be corrected; c) the Service is free of viruses or other harmful components; or d) the results of using the Service will meet your requirements. We make no representations or warranties of any kind, express or implied, about the completeness, accuracy, reliability, suitability or availability with respect to the content contained on the Service for any purpose. Any reliance you place on such information is therefore strictly at your own risk. We disclaim any express or implied warranty representation or guarantee as to the effectiveness or profitability of the Service or that the operation of our Service will be uninterrupted or error-free. We are not liable for the consequences of any interruptions or error in the Service. Please read this policy carefully. This is the Return and Refund Policy of Authority To Coach - The Education Division of Athletes Authority. 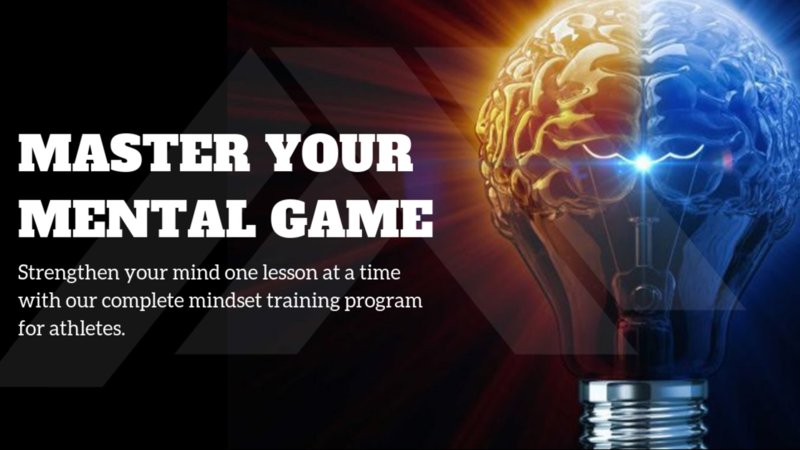 We offer a conditional 30-day refund for Master Your Mental Game. If you aren't completely satisfied with your purchase within the first 30-days, and, can show you've completed every exercise, pre- and post-game analysis within the course, you will be eligible for a refund. Once your refund has been processed from our end, your access will be revoked. We recommend contacting us for assistance if you experience any issues receiving your access passwords. Master Your Mental Game solves the 8 most common problems that athletes face in day-to-day training and competition. Did you know within your one brain, it's made of three really distinct parts with completely different functions? The first brain is the primitive brain. It's commonly referred to as the 'Reptile', 'Chimp' or 'Ancient' brain and can easily be thought of as managing all the things that keep you alive. From controlling the fight-flight-freeze response; being the first responder to sensory information (like a loud, startling noise); to reminding when you're hungry, it thinks in black and white and right and wrong. Your second brain is your modern brain. It's what separates us from the rest of the animal kingdom. It's the voice of reason, and is why you can think in the abstract. It is why you can decide what to spend your money on, what to look for in a friend, and when you should take your car to the mechanics. It deals with facts, truth and logic. If your modern brain were in charge all the time -- we'd make smart, rational decisions. None of us would be fat, none of us would be in debt, and none of us would wind up in a bad relationship. But the big problem is, your modern and ancient brains are in constant war with each other. The chimp brain wants to beat its chest and be a menace, while your modern brain wants to be cool, calm and collected. At any one time, only one can prevail. That is why there is often a lot of internal conflict in your mind during training and competition. Then, there is the third brain, which acts just like an operating system does for a computer. In the same way a computer has rules that it follows, gigabytes of available memory that it stores information on, and programs that launch certain functions, your brain does, too. And just like computers, it has bugs and is at times, imperfect. If you've had a painful injury as a result of a tackle, your operating system might bring up that memory the next time you go in for a tackle, which in the very least, can throw you off. If you've got an embarrassing memory where you dropped a simple fly ball, then this memory might be the only thing you can think of the next time you've got a sitter in the air. Or, if you've failed a jump, you might feel the fear and hesitation every time you face it until the jump is overcome. These are all examples of computer viruses -- scripts that are wreaking havoc with your operating system. Don't forget, no one is immune to viruses -- including you. The solutions to your mental game are simply the clean up -- like anti-virus software -- of viruses embedded into your operating system. Your primitive and modern brain, with the help of your operating system, fight for control all the time. Sometimes, when they fight, bad things happen: you get ridiculously anxious before a field goal attempt, you choke under the pressure and freeze, or you quit exactly at the point you should have pushed. .
What if you could stop the thoughts and feelings you don’t want? What if you could feel confident, thrive off the pain and suffering of hard work, and handle the most stressful situations? You can. Master Your Mental Game will help you take control of your brain so you can train harder, race faster, and better enjoy your sport. This isn't just another course on positive self-talk and visualisation gimmicks, even though they are part of a robust mental game. These are more impactful strategies that challenge the source of your thoughts and feelings you don't want to have. It's an easy-to-implement, practical solution to the most common mental challenges athletes usually face: Do you think any of these things? - I don't think I can do it. - That goal is out of my reach. - I don't cope well with bounching back from injury. - When it all gets tough, the tougher athletes leave me for dead. - I get uncomfortable outside my comfort zone. - I choke under pressure. - I keep making mistakes. - I need to stop being a p*ssy. - I don't cope well under pressure. In Master Your Mental Game, you can start to solve these problems to become a mental powerhouse and make your brain, your most powerful asset in your arsenal.